As a special thanks to the local community for their patience and understanding during construction, DPTI you are invited to celebrate the completion of major works on the Goodwood Junction Upgrade. Be the first to take a train through the new underpass, and get updated information from the project and construction teams. Earlier this week Minister Rau announced that he had approved the so called Corridor Development Amendment Plans to allow for multi-storey housing on Unley Rd, Fullarton Rd and Greenhill Rd as well as Norwood Pde and Prospect Rd. This has been sitting on his desk now for quite some time. However, my concerns about how planning approvals would be assessed have come to fruition. On at least 3 occasions I have asked the Minister in a public forum about who the planning authority would be. 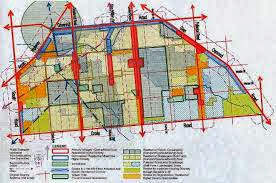 This stemmed from the removal of Adelaide City Councils ability to assess developments over 10 million dollars. In this case a Development Assessment Commission will asses all applications for buildings of 5 or more storeys. Council have spent much time and effort in consulting with the community on this on the fine details to reduce overshadowing and other impacts to find that this may be ignored. Please click the link to read In Daily's point of view. The City of Unley’s ground-breaking enterprise website FindYourEverything (FYE) has just been recognised with the Economic Development Marketing Strategy Award at the National Economic Development Australia (EDA) Conference. Competing against a strong team of contenders, FYE was the only award winner for South Australia. “This award is recognition for not only the FYE team at the City of Unley, but for all businesses and trader associations who have embraced the Find Your Everything project.” says Peter Tsokas, Unley’s Chief Executive Officer. “It’s great to receive national recognition for the success of this strategy for the local economy”. The award recognises excellence in the successful development and implementation of marketing strategies designed to promote sales and patronage of local business. Judged by industry peers, criteria used to select the award winner included innovation, creativity, quality, sustainability and contribution to the profession of Economic Development. The FYE website findyoureverything.com.au went live in December 2012 and is supported by a number of social media platforms – Facebook, YouTube, Twitter and Instagram. FYE promotes unique, predominately independent traders, operating traditional ‘bricks and mortar’ businesses. Its aim is to drive foot traffic in-store and increase tourism to the region. The City of Unley has utilised the expertise of David Penfold from Webmastermind for their digital marketing processes. ToolBox Design, a local South Australian design company, developed the FYE visual concept and brand. “FYE has exceeded all of our expectations and we put this down to the businesses who really got behind our vision.” says Matt Grant, Manager Economic Development at the City of Unley. Since its inception findyoureverything.com.au has attracted more than 20 000 unique visitors and more than 3 000 members. The website encourages visitors to subscribe to receive free regular e-newsletters providing an up-to-date guide on what is happening around the City of Unley, including reviews, events, competitions and special offers. The FYE Facebook site has 4 980 Facebook fans. Over 170 Facebook posts have been viewed more than 1.55 million times with an impressive 35 225 direct clicks through to local City of Unley businesses. The following is the letter I wrote to Rod Hook, CEO of DPTI , on the 3rd October. After repeated phone calls I keep getting stalled. My hope is that he is stalling me as he wants to let me know that all of the requests are possible and that we don't need to meet sometime in the near future. My fear is that continued stalling will mean that the gantries are up and would then cost too much to paint, although I have been promised by David Bartlett (in charge of the electrification). As far as the others are concerned I'm a bit sick of the blame game and residents deserve at least the amenity they enjoyed before;this one is not Council's problem nor ARTC. I'll let you know what happens. After our recent meeting with you on August 7th there were a number of undertakings given by you about what could be expected on the projects in the Goodwood Area. 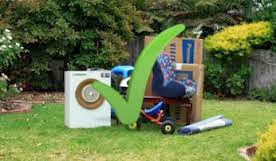 In good faith we expected that the undertakings that you gave would be followed through by staff on the project. Almost all of the matters have now been resolved and I thank you for that. 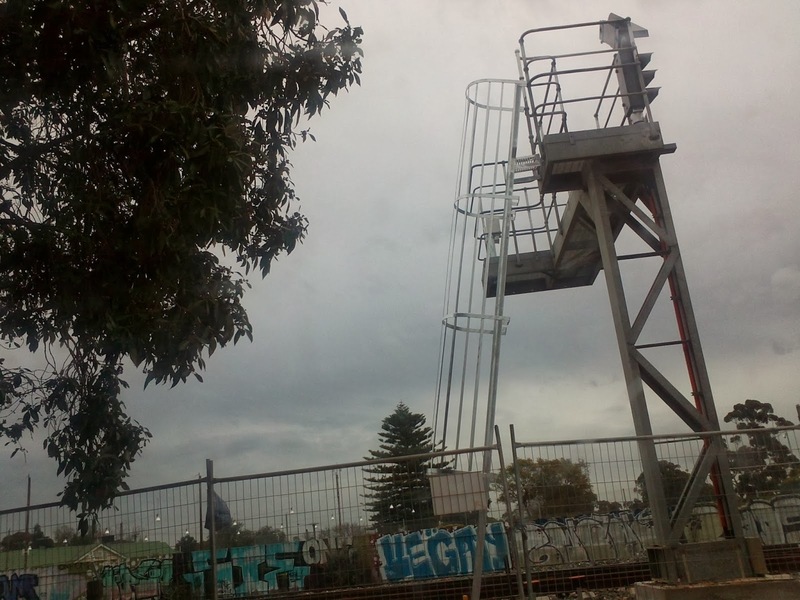 The possibility that the gantry at Clarence Park could be painted slate grey or charcoal before being erected. The residents who own the private homes on Canterbury Tce are shocked at their current amenity and feel this will be even worse when the gantry are erected. 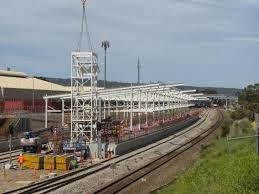 Wayville Station seems to be progressing well and is now very visible from Greenhill Rd. This month's Council Agenda contemplates renaming the station Showground's Station. Not much imagination in that! However, it does tell it the way it is. Surely there is something more interesting, why not a Kaurna name? The opulence of this highlights just how poor the amenity is at Goodwood and Clarence Park Stations. And for that matter at least the train stops at the above stations, poor old Millswood should be able to have it's amenity improved and the trains stop for passengers: wouldn't that be nice and relatively cheap as well? Today's Advertiser is full of stories about trains; train funding, train delays, too few new trains and a bit of a blame game all round. The facts seem to be that the Seaford line is still funded and will be complete with some trains running in December. However, these trains will be the old diesel trains until at least February next year and then the electric trains will run as well as the diesel trains. The 6 new trains are simply inadequate in number to provide the promised 15 minute services. What happened to the other new trains? Also while the gantries are already being constructed on the Tonsley line the project might be mothballed as the Federal Govt withdraws their share of the funding. The articles didn't make it clear if diesel trains might continue to service the Tonsley line. Some of this might alleviate, in the short term, some of the almost inevitable congestion at Leader St; the boom gates may be down a little less often than predicted. Let's hope that the Federal government might spend their money on a much needed flood mitigation project that will actually benefit Unley residents. The following are the views of one resident on the proposed culverts in streets necessary to ensure flood protection if a dam is not built in Mitcham. His views are shared by most residents that might be affected as well as others who fear for the probable additional cost and disruption as well as loss of amenity and streetscape.. At some point a decision must be made to build the dam and clear the creekbed (where possible). Many Councillors are concerned and are actively working toward the dam option. CURRENT plans for the Brownhill Creek/Keswick Creek Stormwater Project will cause major disruption to hundreds of residents in the Unley Council area, and it appears that this council is not unduly concerned. Kilometres of culverts, most 2.4m-3.3m wide and 1.5m-1.8m deep, will extend through streets in Hawthorn, Unley Park, Hyde Park and Millswood. The plan spells disaster for hundreds of trees. 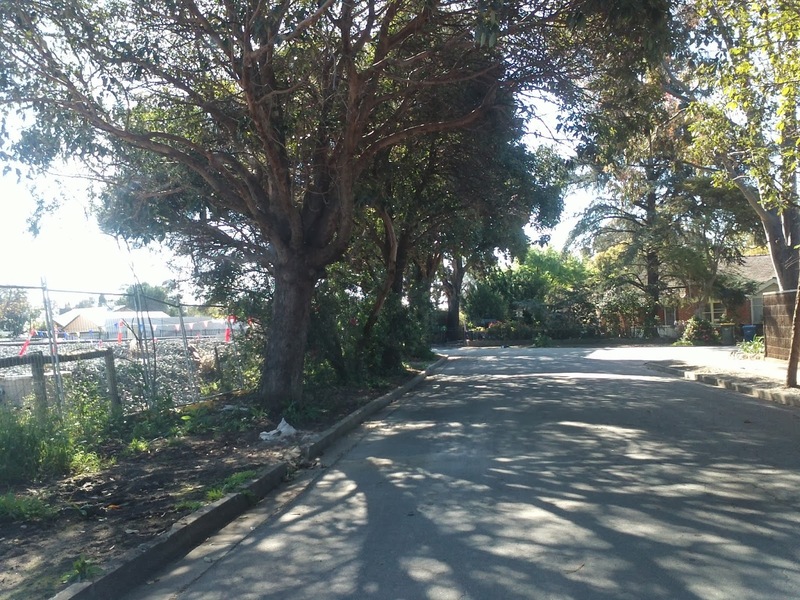 In Malcolm St and Vardon Tce alone, approximately 150 kerbside trees will most likely die, due to the severance of their roots with the digging and placement of the proposed culvert. While new trees can be planted, it will be many years until they mature. For the benefit of the broader community, residents in and around the affected streets are prepared to accept many months of noise and inconvenience. However, it appears that little consideration has been given to: Residents having to find alternative parking for their cars, as they will have no vehicular access to their properties; Those with mobility problems having difficulty with access and egress; Assisting those unable to carry their shopping from wherever they have to leave their car: Children having to be more carefully supervised; and Access by emergency or utility services, as well as domestic trades personnel. 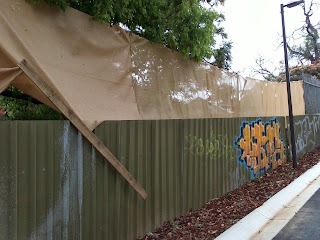 While the issue of flood mitigation certainly needs to be addressed, Unley Council and the Stormwater Management Authority should implement a programme of clearing the current waterways of accumulated debris to facilitate water flow, and investigate the construction of a dam in a location further into the hills, away from homes and Brownhill Creek Recreation Park, thereby overcoming previous objections to a dam in the park. I have just been sent the item from the Herald Sun about the sacking of Wangaratta Council. The state government has dismissed the entire elected member body and appointed administrators until their next election in 2016. It seems a report indicated that well over a million dollars had been spent on sorting out bullying claims between members and of members to staff causing complete dysfunction and extensive budget over runs. Seems like although we have our spats we are definitely doing OK.
weather (it cannot be applied during rain). · Other localised reinstatement works. Dust off the picnic rug! Free family fun day including live music from The Honey Pies, Echo & the Empress and Kaurna Cronin, children’s entertainment by Oneshoe, face painting, roving entertainment, refreshments from Great Relish and La Chiva, and an outdoor film screening of Despicable Me. http://www.unley.sa.gov.au/page.aspx?u=1885 for the full programme. A fantastic line-up of chefs, gardeners and artists come together in this year’s Unley Libraries Festival. The event will be hosted by radio celebrity Cosi, and features over 20 different activities for families to do, see and hear. The Festival offers the opportunity to see and try new things you rarely see in libraries. Reflecting the theme of ‘Cook it, Grow it, Make it’, this community literary festival for children and adults offers great events including presentations, demonstrations and hands-on activities by authors, artists and local bookshops. Highlights of the festival include a cooking demonstration by TV personality and Chef Poh Ling Yeow; storytelling by children’s author Janeen Brian and Amanda Graham; and gardening and DIY tips with ABC presenters, Malcolm Campbell and Rose Squire. Some activities require a gold coin donation, but most are free. The winner of the FindYourEverything.com.au competition will be announced during the Festival. The prize is an outstanding $6000 Rawson’s Elite appliance and cookware package which includes state-of-the art European kitchen appliances and an 11-piece cookware set. 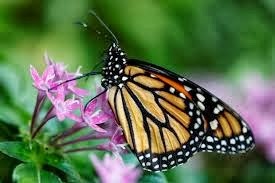 Council recently granted Clarence Park Kindergarten $3,600 to develop an area of the grounds into a butterfly garden.It has taken some time to clear the selected area of weeds and replanting with fruit, vegetables and native bushes that attract butterflies. The children have spent time decorated the area as well. ADELAIDE'S UNLEY Council wants to ban trucks on a busy road following the crash of a B- double in September. Unley Mayor, Lachlan Clyne says the council plans to remove B- doubles from Glen Osmond Road, which serves as a main freight route. The above quote was in a recent newspaper (Owner Driver). What makes me annoyed is that either the writer has no idea about local government procedure or our mayor is over stepping his authority. While there was some radio chatter after a recent B-Double crash on Glen Osmond Rd this matter has never been discussed or debated by Council. It is, therefore, nonsense to suggest that Council plans to do anything at all!! This doesn't mean that the mayor did not have a good idea, he probably did, but he must bring his ideas to Council just like the rest of us before Council can be planning anything. If any Councillor was presumptive and assumed that Council was planning to do something we wanted (or told the press such) we would be told that we only had the authority to speak for ourselves and not the Council. Lachlan certainly has the authority to speak for Council but generally only on matters that are on an agenda or have been debated. indulge. This can lead to an increase in food going to waste. Civic Council Office, 181 Unley Road, Unley. 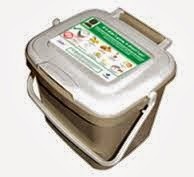 organics bin and can choose to compost their food scraps instead of sending them to landfill. Landfill is a waste but compost is a valuable resource! any leaching of smells or liquids. It can be placed on the kitchen bench top or under the sink. and place these in the green organics bin. the other organic material in your organics bin to create nutrient-rich compost. It is not surprising that DPTI have not yet been approached as staff were asked to investigate the possibility of legal action and will only follow up this if Council approves after investigation. 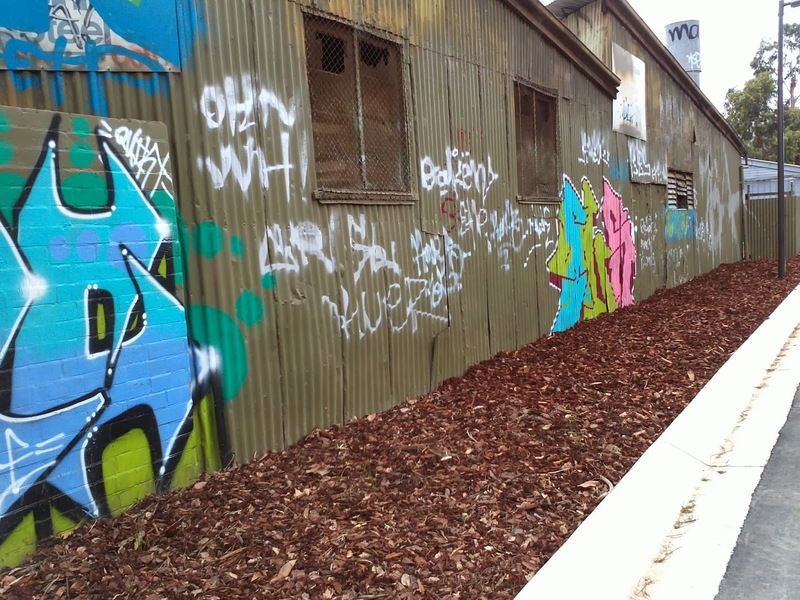 UNLEY Council is considering taking legal action against the Transport Department for damaging street trees during works to upgrade the Goodwood rail junction. The council claims a large tree on Arundel Ave, Millswood, and two trees on Canterbury Tce, Black Forest, had to be cut down after they were damaged by construction crews. Councillors have voted to investigate how many other trees have been damaged as part of the project and will consider prosecuting the department for breaches of the Development Act. The council has also voted to seek compensation from the department for any damage caused to roads, footpaths and signs. Councillor Jennie Boisvert told a council meeting last month scores of heavy trucks moving earth and equipment might have damaged streets, such as Victoria and Leah streets and East Ave, forcing the council to resurface them earlier than planned. 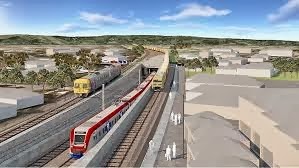 The $110 million rail project to build an underpass for the Noarlunga line below the Belair and freight lines started last October and is due to finish by the end of this year. Councillor Michael Saies, who pushed for the report on tree damage, said it was unacceptable for trees to be knocked down without authorisation. 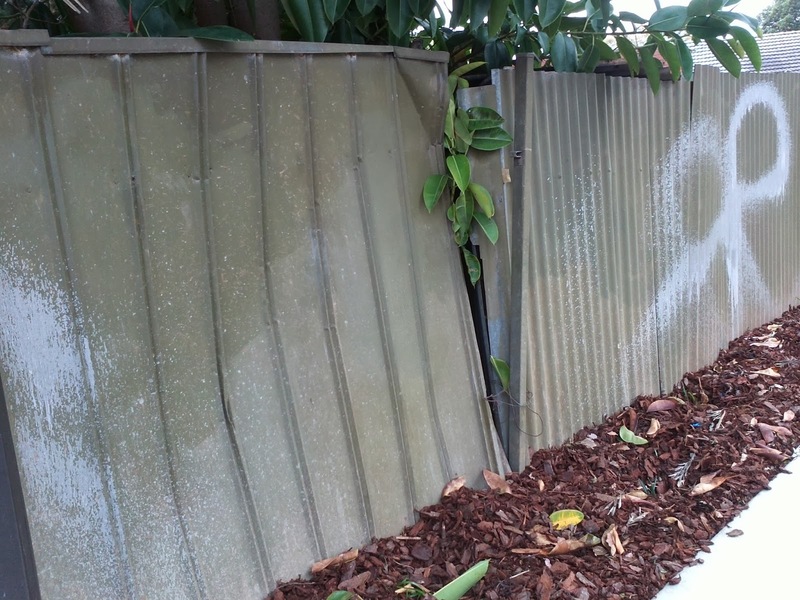 He said residents had complained to him about the damage to trees. 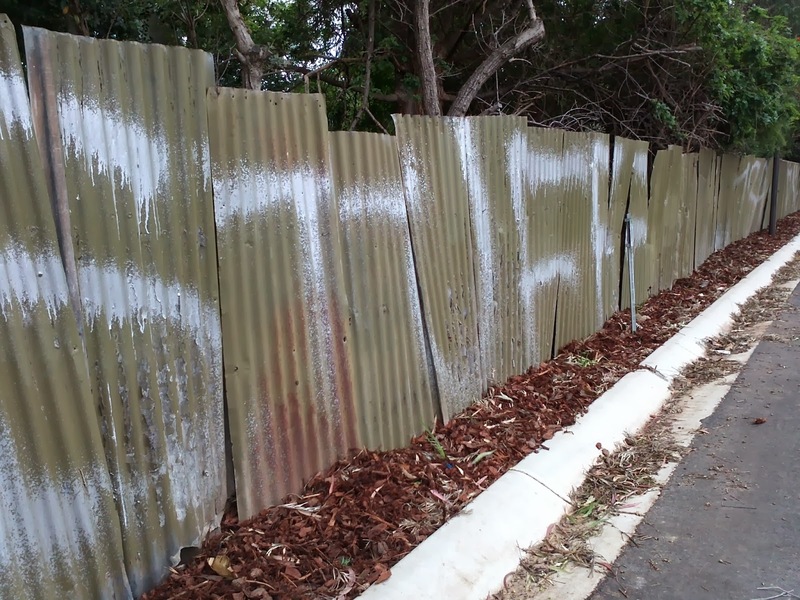 “We need to make it clear to the community this sort of damaging activity is not to be tolerated,” Cr Saies told the council meeting. Councillor Don Palmer said he had lost count of how many trees had been destroyed by accident as part of the project. “We’ve had a devastation — a war in our area in the last nine months,” Cr Palmer said. Councillor Mike Hudson suggested the council looked for another way to resolve the issue, rather than expensive legal action. “Surely we could come to some friendly, cost effective solution,” Cr Hudson said. A department spokeswoman said it had not received any correspondence from Unley Council about damage to trees, footpaths and roads. “The department will respond directly to the council in relation to any correspondence received on these matters,” she said. The department did not provide details of how many trees had been damaged or removed as part of the project. I attended this meeting this week as a proxy for Mitcham Council. I asked a few questions regarding Goodwood Junction. These included; why is the freight line now noisier and the squeal increased? The first response was that the freight line works are yet to be signed off and handed to ARTC for ongoing maintenance, ie this is DPTI's problem. Seems the problem is that no-one wants to take responsibility at this time. However, I was assure when it was signed over that ARTC would be the right people to call, hence the phone number above. My suggestion is to ring everyday and complain and get as many people as you can to ring with the same message. However, I did get an explanation as to why this might have occurred. The lines themselves are aligned as close together as possible when built as they move further apart over time. With wooden sleepers there is greater absorbency of the vibration and noise as compared to concrete sleepers. From what I can gather no base line noise monitoring has been done by ARTC (although I recall that Theiss York had some data) so comparison's can be made. I did not feel better when I was told this might take 20 years!! 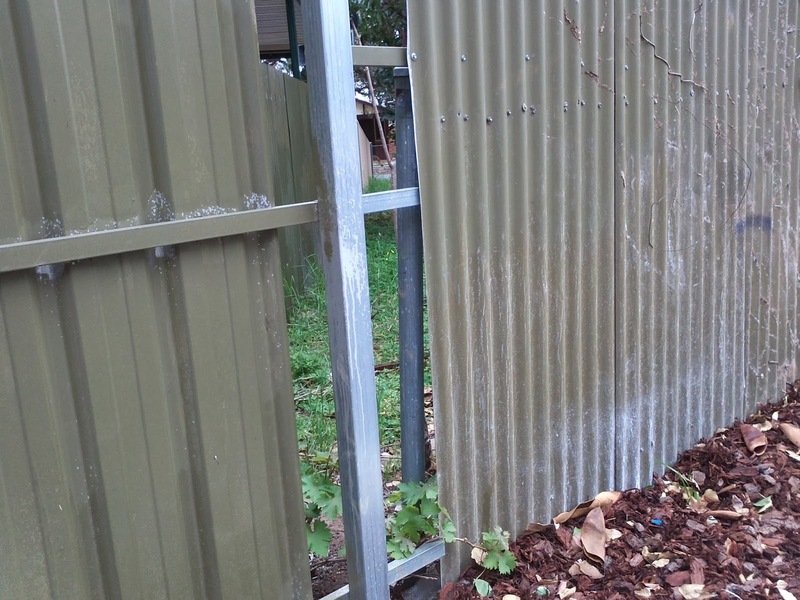 Some noise management studies in New South Wales have investigated using different fasteners, clips and pads that allow concrete to more closely mimic wood and a study underway at Heathfield is investigating the effectiveness of rail lubrication. So when at last ARTC recognise they have a problem there is some guidance as to what to try that might reduce the noise. The alternative is treatment of properties to help prevent the existing noise form entering. What a pity that DPTI thinks that these fence are safe, just the right height and provide adequate privacy for the home owners to enjoy their private open space. At 163cm I don't have much trouble looking over them! 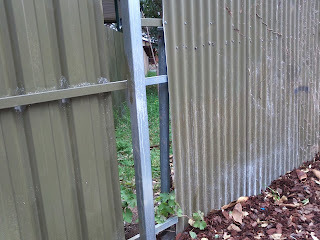 You can see from the pictures that they are gratified, too short, have gaps and are falling over. 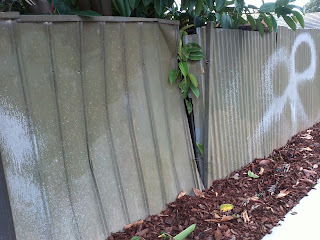 Don and I are still working on getting the worst of these replaced and all the existing and new fences facing the railway painted a uniform colour, slate grey. The olive green is singularly unattractive. Thanks to In Daily for this interesting report and well done Unley for doing so well. For people like me it's not hard to work out why shorter distances are preferable and a higher use rate exists in the inner city areas. Adelaide’s commuter cyclists are concentrated in the inner suburbs, particularly the south, an analysis by InDaily reveals. Bike use is heaviest in the areas around Unley, Parkside, Goodwood and Millswood in the inner south, and Norwood and St Peters in the inner east. A leading cycling lobby-group says the data vindicates the pro-cycling policies – particularly speed-limit reductions – of inner-suburbs councils. The data is drawn from the Australian Bureau of Statistics’ journey-to-work dataset, from the 2011 census. It represents the number of people saying they used a bike as their primary mode of transport to work. The map plots this data, with colour shade representing bike use per head of population. Darker greens mean more bike use; lighter shades mean lower use per head of population. The map uses the ABS’s statistical boundaries, which represent populations of between 3000 and 25,000 residents. The map clearly shows bike use is concentrated in the inner suburbs, with a very dramatic fall-off in the middle and outer suburbs. Bicycle SA CEO Christian Haag said that result was probably driven by riders who worked in the city and lived in the inner suburbs. Unley-Parkside records the highest rate of cycling-to-work per head of population. Interestingly, its residents are also amongst the highest users of public transport, predominantly buses and trams. “Unley appears to be the largest ride source,” Haag said. An interesting article in the Adveriser this morning from the Unley Museum. The exhibition clearly is great for young and old. Maybe a great way to spend some time with the kids during the school holidays? THESE are toys with stories to tell. A collection of 50 toys, animals, dolls and miniature items from the 192 Os to the 2000s are on display at Unley Museum for its Toy Stories exhibition. The toys, which have come from the museum collection and three private collectors, include an old Monopoly board from the 30s, a wicker pram made in Unley in the 20s and a stuffed toy dog, also from the 20s. 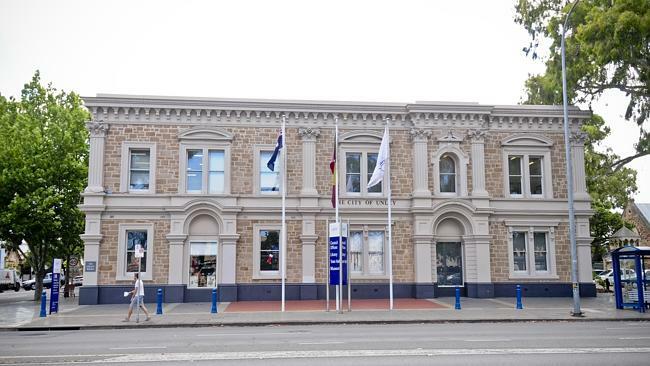 Unley Museum curator Elizabeth Haitnell says the dog came from the old Goodwood Orphanage. "It’s the cutest, most loved thing," she says. "It was found in the attic of the orphanage when it was closed; you can only imagine who must have stashed it up there. "It just makes you tear up, it’s so precious." The exhibition also features a visual display of the top Christmas lists from previous decades. Yahtzee and hula hoops were the rage in the 5 Os. the 70s was all about the Rubik’s cube and Game Boy was king of the 90s. have grandparents come with their grandkids and go, I remember that’, and talk about the toys and games." There will be a larger toy exhibition at the museum in 2016 and anyone with old or new toys with stories behind them is encouraged to bring them for the display. Ms Hartnell says it has been interesting to see bow toys have evolved. Lego, for example, was made from wood until plastic blocks were introduced around the 50s. "They introduced the block so every block could actually fit together regardless of when you bought it," she says, "If you put a brand new piece of Lego into a 50s piece of Lego ... it would still fit." The exhibition has proved to be a way to connect older and younger generations. Last Wednesday Don Palmer, Michael Saies and myself met with Vickie Chapman, Shadow Minister for Transport, and Terina Monteagle, pre-selected as the Liberal candidate for Ashford. On the agenda was to be a discussion about trains and to tell members of the Liberal party what we wanted and why for our bit of Unley. Freight train diversion: There has been so much money already spent and promised for future spending ($600 million) to see the freight trains move more quickly through Adelaide that there is little appetite to pursue fright diversion. An economic argument might arise in the future and private enterprise might build a line that diverts the freight. This is not my view but, unfortunately, it seems to be that of politicians in general. Millswood Station; As reported in an earlier blog raised interest and is not off the books at this time. Leader St underpass; Very much needed, especially as the crossing will be so busy when the Seaford line is running. Vickie believes that while this is unfunded in the current round of funding this is a possibility for 2016. This was good news as I was under the impression it was much further away. Fixing up the mess DPTI have left behind in Millswood, Goodwood and Clarence Park; We discussed additional sound mitigation for Arundel Ave and other streets. It was a very pleasant and valuable meeting for us and I hope, also for Vickie. The tower in Arundel, why would this not deserve screening? Unley regularly participates in this survey. This is the way that we, as Councillors, and staff know exactly what is being put in the bins. The randomly selected bins are emptied and their contents sorted and categorised. Individual households cannot be identified. 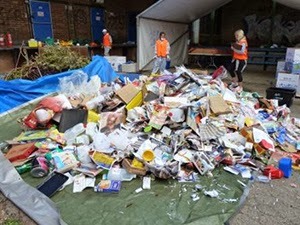 This way Council can identify things like how much recyclable material is being put in the general rubbish, how much green waste is in either of the other two bins and just how much space is taken up by the misnamed 'disposable nappy' . The bin materials survey will be conducted in the next few weeks, if your household is chosen your bin/bins will be marked with a temporary sticker-please do not remove it. If you do not want to participate please contact KESAB or email admin@kesab.asn.au. The Local Governmant Association is now asking the state and federal governments to put in their share of the $150 million dollar project. Over what is now years of negotiations the funding was to be provided in equal shares by councils, state government and federal govt. to this date neither have made an actual commitment and without this no further progress can be made. This project is imperative to provide 1:100 flood protection for Unley homes. It has been held up in recent years by the dam/no dam argument the Mitcham Council has steadfastly supported. Unley would be required to pay 22% of $50 million and this is in the forward estimates budget. It is becoming increasingly clear that the disruption that would be caused to residents along with the additional costs involved will not be acceptable to many of our residents. I will continue to work with residents on this one to ensure a dam is built and the use culverts is minimised. The Australian Electoral Commission has approved the minor alterations to the boundary changes Council suggested (to keep the population within each ward at a similar level). They also approved the renaming of Goodwood South to Clarence Park from the election in November 2014. Interestingly, they did not like our argument for keeping the numbers relatively low in Unley even though the State government expects thousands of people will be buying apartments once they are approved and constructed on both Unley and Greenhill Rd. Council have appointed a new heritage adviser. This person is contracted to review Development Applications ans assist residents with heritage esquires. He is Andrew Stephens, he will be available from 9am-12pm on Wednesdays. The Black Forest Local Area Traffic Management Plan's final report will be presented to Council this month. I will let you know when I see the final draft to ensure your input at the meeting. This will not include Canterbury Tce options. Goodwood Tennis will host a portion of the Asia Pacific Tennis Tournament for 2013/14, this is a coop for the club and you may get a chance to watch some tennis stars of the future. The Princess Margaret Playground is having the concrete beams replaced early this month, this may see the playground closed for a few days until complete. Today saw the long awaited opening of the Victoria St crossing. The opening is raising concerns for residents especially regarding safety. As soon as the Seaford trains are running as scheduled the Leader St crossing will have the boom gates closed far more often. 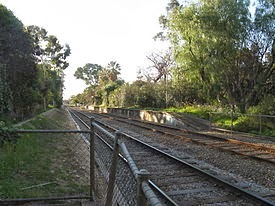 Think freight trains in both directions now longer and faster; the Belair train running as often as very 15 minutes in each direction and both the Seaford and Tonsley trains as close at 12 minutes in each direction. This amounts to a train every few minutes. Where will the cars go? Seems logical to Victoria St. The solutions are yet to be discussed let alone implemented but need to be a priority for Council and DPTI.